Cihuapilli Rose Amador LeBeau interviews Assemblyman Ash Calra and gives an overview of Steve Macias (Native Voice TV’s producer) video footage of Standing Rock’s support trip. Ash Calra (27th District Assemblyman of Santa Clara County) mentions his supportive trip to Standing Rock Reservation in November (before Thanksgiving) 2016. Calra introduced ‘AB20‘, an act to add to Section 7513.72 (Government Code) – ‘Divestment of Public Employee Retirement Funds’ from Dakota Access Pipeline (NDAPL). 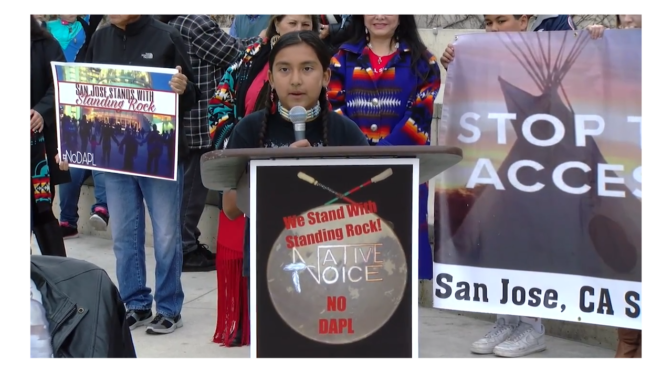 The second part of this NVTV show brings in two short interviews at the Standing Rock Reservation, on the road with ‘Producer, Steve Macias’ and ends with a San Jose ‘Standing Rock Support Rally’. 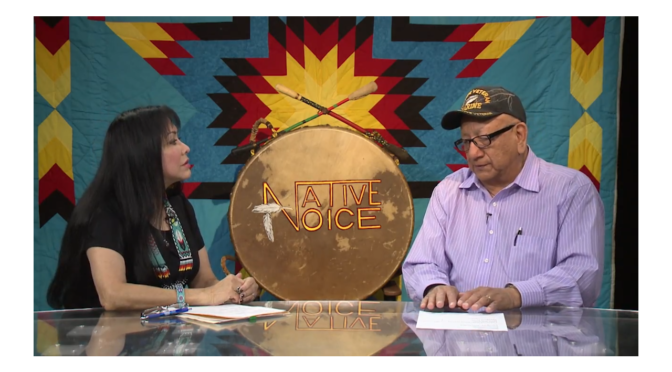 This show is how Native Voice TV is in Support for the ‘Water Protectors‘ of the Dakotas.